Typically when people mention RPGs, they think of a high budget title like Final Fantasy or Fallout. While these games tend to be good, smaller RPGs tend to offer unique experiences. This has been the case with many things released by Nippon Ichi, Gust, Compile Heart and many more. 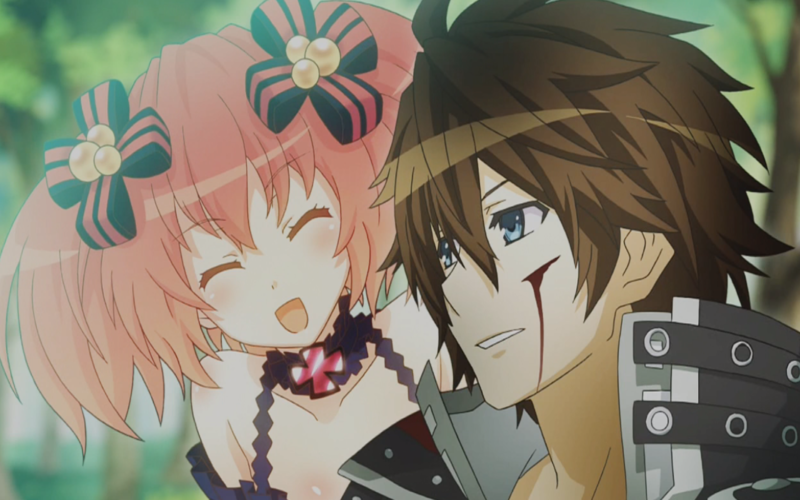 Among them was Fairy Fencer F, a by-the-numbers RPG that many people overlooked. 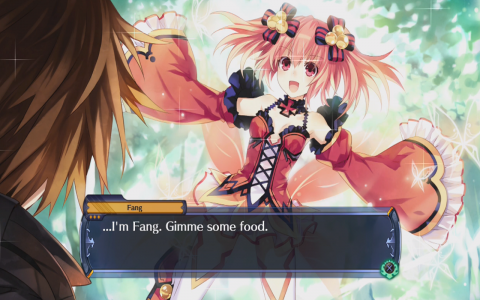 With this in mind, Fairy Fencer is back in the enhanced version, Fairy Fencer F: Advent Dark Force. With cute girls, solid mechanics and plenty of story, is this title a must have or something that should’ve been forgotten? Fairy Fencer F: Advent Dark Force follows a slacker that accidentally obtains a fairy and is pulled into the world of fencers. Their goal is to fight one another, revive their leader and their reward will be a wish. Naturally you’re uninterested in the quest, but your circumstances and perspective will change as you progress towards your goal. The real draw to the story isn’t the narrative, but actually the interactions. Despite these too falling into the Japanese anime/game character clichés, the way the characters interact is still amusing. Like Fang just wants to eat and makes a several comments about his love and desire for food. The other characters have similar quirks, which work their way into the dialog, thought process and more, making an amusing adventure, even if the story itself is pretty generic. In addition to presenting the story like Neptunia, Fairy Fencer F: Advent Dark Force plays the same way. Before going into battle you can attack the enemy to get a surprise attack, though missing will put you at a disadvantage and anything else will start the fight normally. Ideally you’ll start first in every fight, but there is enough risk to stop it from making the game too easy. Not to mention this is a fairly standard system fans should be used to. The combat itself is also pretty similar. You can move anywhere in a field, attacks take place over an area and you have the ability to attack multiple enemies at once, with having the same ability. This makes it important to line up your attacks, think ahead and always keep your position in mind. This system also makes weapon and magic extremely important. Similar to most games, different spells affect a different area. So if you want to quickly damage everyone, you might want to use a wide range AOE, some of which have really lovely animations, where as single targets will call for more conservative spells. The fun thing is using different weapons, since a weapon might do more damage, but affect a smaller area, making it an overall better or worse item. The only downside is that the combat gets repetitive fast. After your first couple of hours and you’ve seen most of the animations, every fight boils down to aiming for the most damage, taking out the most targets and just stacking and burning enemies down. 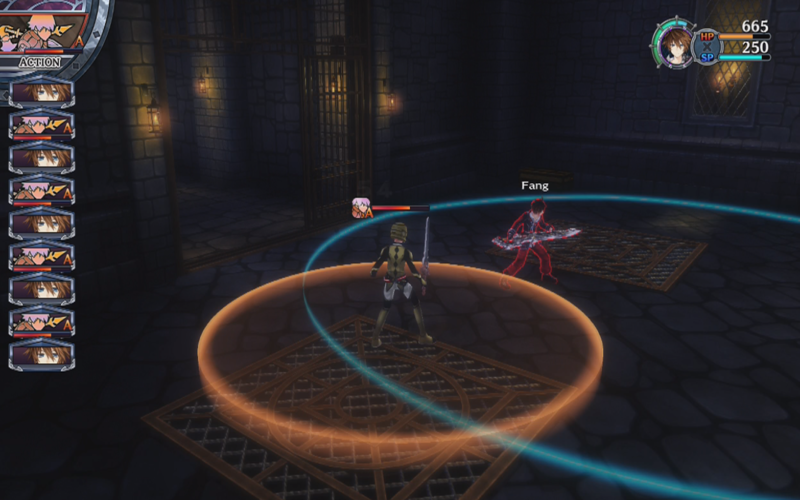 While the stack and burn is terrible for certain bosses or enemy types, it generally works out pretty well as you can heal everyone at once, making it simpler in the end. The other thing is that the difficulty isn’t terribly high, so you can win with almost any tactic, assuming you aren’t under leveled/geared. This brings up the other that typically happens in games like this, which is a very linear progression. 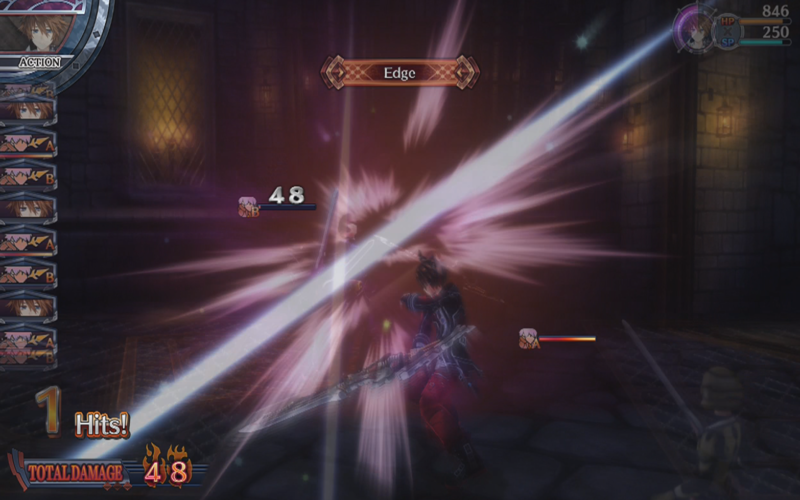 Unlike other games where you can go various directions or go about things with different builds, there is always a top damage, defense, whatever item that you’ll probably use until the next one is revealed. This also helps to make the experience fairly monotonous, though it’s great if you just want to progress without thinking about it. The other issue is the flat and dull worlds. Fairy Fencer F was never that complex or visually impressive to look at, so Fairy Fencer F: Advent Dark Force is a higher resolution version of the flat and full world. There also isn’t much in terms of thrills, so don’t expect a lot of exploration, diversity or things to discover, outside of finding an item in a side room or opening a random door. Fairy Fencer F: Advent Dark Force isn’t the best game, but it also isn’t a terrible game. The gameplay is complex enough to engage people, though simple to the point where engaging is more of a choice, than a requirement. However, the story is interesting and amusing enough to make the experience more than worthwhile, assuming you can appreciate a cheesy anime storyline. In the end, Fairy Fencer F: Advent Dark Force will appeal to Neptunia fans and be something those who dislike Neptunia, also dislike. So unless you enjoy the Neptunia approach, this probably isn’t the game for you. Next article Is Neverwinter (PS4) Worth Downloading?